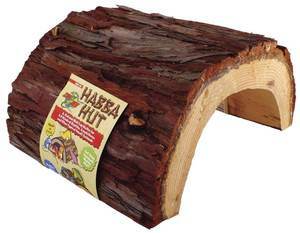 There are so many ways to create an awesome looking bearded dragon habitat without spending a lot of money. Getting a nice looking substrate can help here. Still, most people use newspaper or reptile carpet as substrate. Why do they do that? Is sand bad for bearded dragons? Sand is not bad for bearded dragons. Sand is way better than reptile carpet for bearded dragons as it allows digging, which is a natural behavior in bearded dragons. Many pet bearded dragon owners are worried that their bearded dragon might eat the sand and get impacted from it. However, this can be avoided by ensuring a sufficient calcium intake in the bearded dragon. I am pretty sure that you need some further explanation and this is absolutely understandable. Further, you can´t use every sand there is for your bearded dragon tank. Continue to read to learn more. Is Sand Bad For Bearded Dragons? So, as I said, sand is not bad for bearded dragons, but it can be bad for your bearded dragon in some cases. Those case are easily avoidable, though. The number one reasons why most bearded dragon owners do not use sand is that they fear that their bearded dragon could get impacted. And yes, it is true, bearded dragons can get impacted from eating too much sand, but it is important to know why beardies eat sand. As you probably know, bearded dragons need a lot of calcium at all times. Calcium is needed for growth and to keep a bearded dragon´s bones solid and healthy. Bearded dragons need vitamin D to process that calcium. Beardies in captivation can only produce vitamin D if you have a UVB bulb with a sufficient UVB output installed. However, you can have the best UVB lamp in the world, if your bearded dragon does not get enough calcium, it will get sick. If your bearded dragon gets enough calcium, but you have no sufficient UVB lamp, it will get sick. In the wild, bearded dragons exactly know what they need and they know how to get what they need. 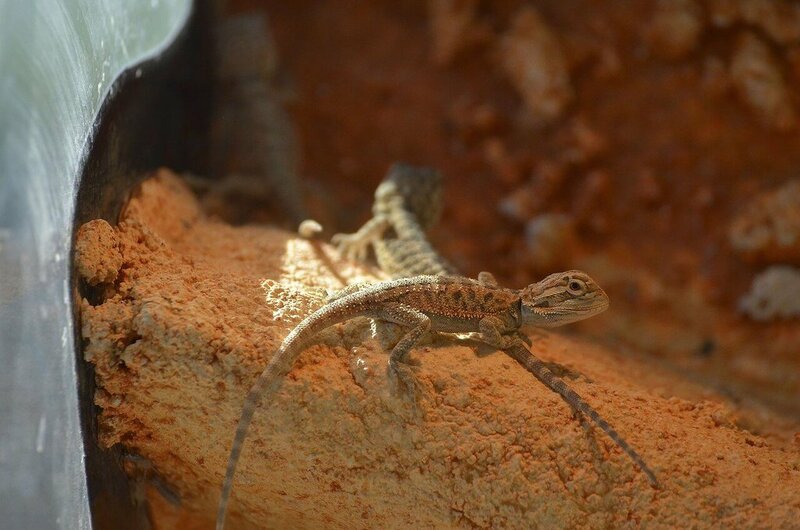 The Australian sun has a sufficient UVB output, so we don´t really need to talk about that, but how do bearded dragons get their calcium in the wild? I mean, in the wild, there is no human who dusts their food with calcium, right? Bearded dragons get their calcium in two ways. First, the food they eat in the wild contains way more calcium than the feeder insects we feed our pet beardies. It is a fact that wild insects contain way more vitamins and minerals than the mass-produced insects we feed them. Second, bearded dragons eat dirt to get enough calcium. And this is the root of our problem and also the solution for our problem. Bearded dragons can feel if they need more calcium and by eating dirt, they balance their minerals. So every bearded dragon owner who has a bearded dragon that got impacted from eating sand did not ensure that their bearded dragon got enough calcium at all times. Not the sand is the problem, wrong supplementation is the problem. You might ask yourself now, why our pet bearded dragons get impacted from eating sand, but wild bearded dragons do not get impacted by doing this. One reason for that is that bearded dragons do not live in the desert. I know that many pet shops say that they come from the desert, because they are not properly educated on all pets they sell. Bearded dragons come from the dry woodlands of Australia there isn´t too much sand. The dirt they eat is a mix of soil, maybe a little bit sand, maybe some leaves and so on. The other reason for that is, that the ground in Australia actually contains the minerals a bearded dragon needs. The sand we use for our bearded dragon habitats does not contain calcium and that is why pet bearded dragons eat sand over and over again. They feel that they need more calcium and they think that they would get it by eating more sand. That is their natural behavior, but in captivation it is a sure way to get impacted. There is an easy fix for this problem and, no, the solution is not using reptile carpet, newspaper or kitchen roll for your bearded dragon tank. I mean, do you really feel good seeing your bearded dragon living in a glass tank that has no similarity to their natural habitat at all? Bearded dragons love to dig. Digging is a very natural behavior in them, they love to dig caves and hide in them, they like to sleep in those caves and they simply like to bury themselves in sand. So in order to give your bearded dragon the possibility to do that, you have to make sure that you offer enough calcium at all times. Dusting every single feeder insect with calcium is a good start, but it might not be enough and your beardie might continue to eat sand. That´s why you have to additionally offer calcium in a food bowl at all times. I love to use sepia for this. I simply shred the sepia so that my bearded dragon can get small pieces of it whenever it wants. I don´t recommend to use calcium powder for that as it might be too fine for your beardie to eat. Get the sepia I recommend here. Even if you do not see your bearded dragon eat that sepia, it will do so if it feels it needs it. I know people who believed that their bearded dragon does not need it, but the day came when they saw their bearded dragon crawling straight to the calcium bowl and eat a nice piece of sepia. If you offer enough calcium at all times and you made sure that your bearded dragon is healthy, there is no need to freak out if you see your bearded dragon eating some sand. Bearded dragons like to lick on stuff and it is not uncommon that they also lick on sand or eat a little bit of it. A little bit of sand from time to time will not kill your bearded dragon, so just stay relaxed. Is Sand Bad For Juvenile Bearded Dragons? Juvenile bearded dragons are known for having a bad aiming when it comes to eating food. Their aiming gets better when they get older. Many people are worried that their baby bearded dragon could get impacted by eating sand accidentally. That´s why most pet baby bearded dragons are kept on newspaper. However, if your baby bearded dragon gets enough calcium at all times, you should not have any problems with keeping your baby beardie on sand. Yes, they eat sand from time to time accidentally, but it rarely is that much that they get impacted from it. Calcium deficiency is the real problem here. Is Calcium Sand Bad For Bearded Dragons? Even though calcium sand is okay for bearded dragons to eat, it can still happen that your bearded dragon eats too much of it and get impacted. 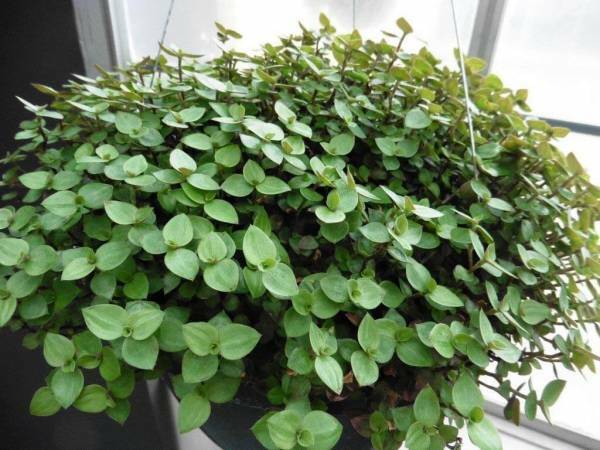 That is why it is recommended to not use calcium sand, but to use normal sand and offer a bowl with sepia instead which ensures a sufficient calcium intake. Is Play Sand Safe For Bearded Dragons? Play sand is way cheaper than buying substrate in a pet shop and it can actually be used for a bearded dragon habitat. However, it should be made sure that the play sand is free from any pesticides and the play sand should always be mixed with clay. Using only sand as substrate over a long period of time can be bad for your bearded dragon´s joints. That´s why it is recommended to mix it with clay. A ratio of 1:5 (clay:sand) is absolutely okay here. 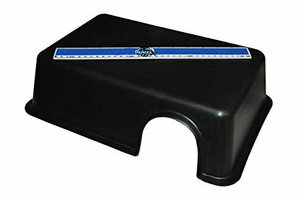 This way your bearded dragon is still able to digg, but the substrate is firm enough so that your bearded dragon does not sink in all the time. I love to use the Excavator Burrowing Clay from Zoomed, which you can get here. Don´t get me wrong, I do not have a contract with Zoomed, I just think that this substrate is simply awesome to create a good looking, appropriate bearded dragon habitat. You can create hills and caves with this clay, it is easy to clean and it is very easy to mix. I have written an entire article on that clay, click here to read it. The video below shows you how the clay looks and what you can do with it. I really hope that this article encourages a lot of people to create a habitat for their bearded dragon that is more natural. I think that newspaper or reptile carpet is not a good substrate for bearded dragons even though it is cheap and easy to clean. If this article encouraged you to use some sand, leave a comment below. If you have some questions you can leave a message as well. So, is sand bad for bearded dragons? Absolutely not! 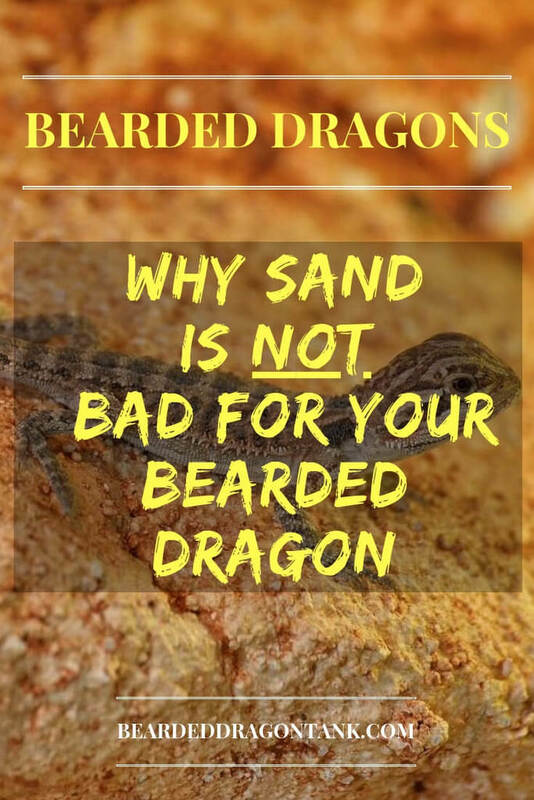 Author beardeddragontankPosted on October 28, 2018 Leave a comment on Why Sand Is Not Bad For Your Bearded Dragon! Sharing some human food with pets is something that most people simply love. There is no dog owner in the world who has not shared some food with their dog. However, sometimes doing this can even be dangerous. What about bearded dragons and oranges here? Can and should bearded dragons eat oranges? Bearded dragons should never eat any oranges. Oranges contain too much sugar and fruit acid which can irritate a bearded dragon´s digestive system and lead to diarrhea and dehydration. 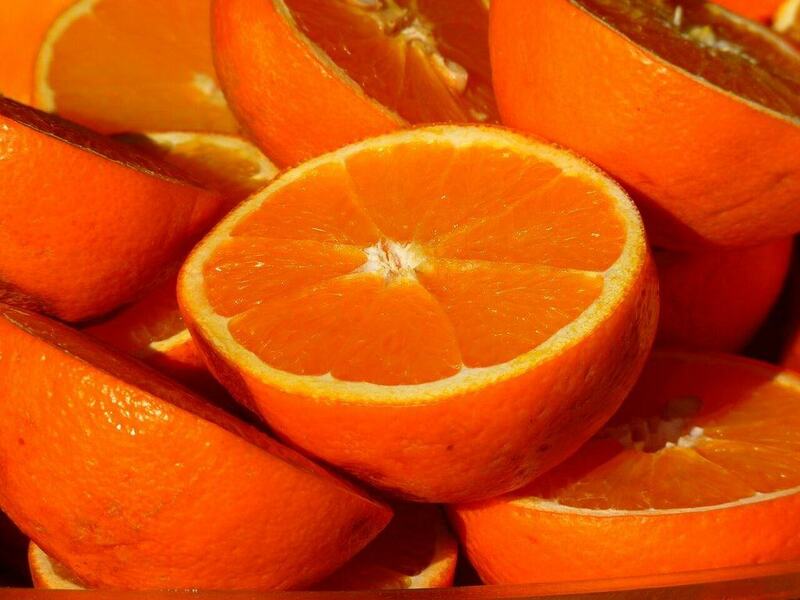 The following article will explain why oranges and even most other fruits are so dangerous for bearded dragons and I will tell you what happened to my bearded dragon when I fed him to many pieces of orange. So, as I said, bearded dragons should never eat oranges. In fact, bearded dragons should not even eat most other fruits. I know that a lot of bearded dragon owners love to feed fruits to their bearded dragons, because their beardies seem to like it, but this can actually end pretty badly. Most fruits contain a lot of water, they are high in sugar and fruit acid, but oranges contain even more fruit acid than most other fruits. Those things combined will irritate your bearded dragons digestive system and soon your bearded dragon will have diarrhea each and every day. As you probably know, if your bearded dragon is suffering from diarrhea all the time, its digestive system is not able to absorb the nutrients of the food properly anymore. So even if you continue to feed your bearded dragon, your bearded dragon might not get enough of the nutrients it needs so badly. For example, vitamins and calcium and phosphor. Further, constant diarrhea can lead to dehydration in bearded dragons. Normally, bearded dragons are used to being dehydrated. I mean, they come from the dry woodlands of Australia and usually, the water they take in with their food is absolutely enough for them. However, dehydration caused by diarrhea is something different and can lead to serious health problems. It is not only the sugar and the fruit acid that can cause diarrhea in bearded dragons. Oranges also contain a lot of water and too much watery food can quickly lead to diarrhea in bearded dragons. So, as you see, you definitely should not feed oranges to your bearded dragon. Can Bearded Dragons Eat Mandarin Oranges Or Navel Oranges? Mandarin oranges and navel oranges should not be fed to bearded dragons either. They might not be as high in fruit acid as normal oranges, but it is still too much for a bearded dragon´s digestive system and they can lead to diarrhea and dehydration as well. I have noticed that a lot of people in forums say that mandarin oranges and navel oranges are okay, but actually they are the same as normal oranges. 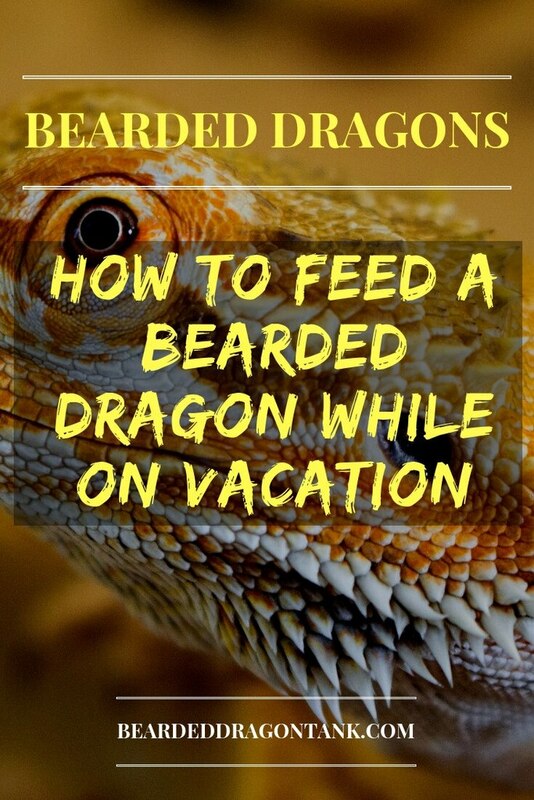 Do not feed them to your bearded dragon, there are so many other things you can feed your beardie. So you might ask yourself why your bearded dragon loves eating oranges and and other fruits if they are so bad for a bearded dragon. The majority of bearded dragon owners does not know that bearded dragons are actually omnivores. This means that they eat just about everything they are able to catch or reach. In the wild, this is absolutely no problem. 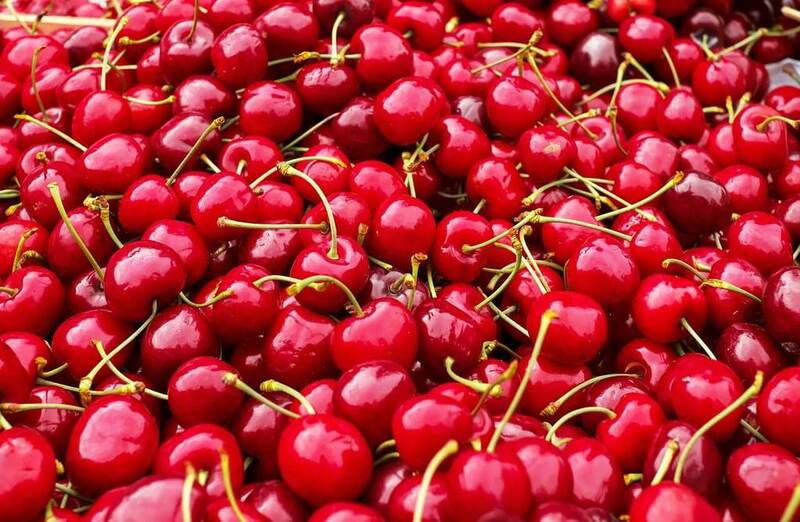 If they find a fruit, they will eat a little bit from that fruit and on the next day they need to find or hunt something different or they do not find anything at all. So even if bearded dragons eat things they should not eat in the wild, they won´t be able to eat it every day in most cases and their digestive system can deal with that once in a while. However, in captivation, most bearded dragons are simply overfed. They eat way more than they should eat and they eat way too much of the same things. That´s why a lot of bearded dragons refuse to eat greens. Some bearded dragons even refuse to eat anything other than mealworms. That´s because they are overfed and ate too much of the same food for a long period of time. They can actuall get addicted to mealworms and other food that is high in fat. I have written an entire article on bearded dragons and mealworms, if you still feed mealworms, I highly recommend to read it. 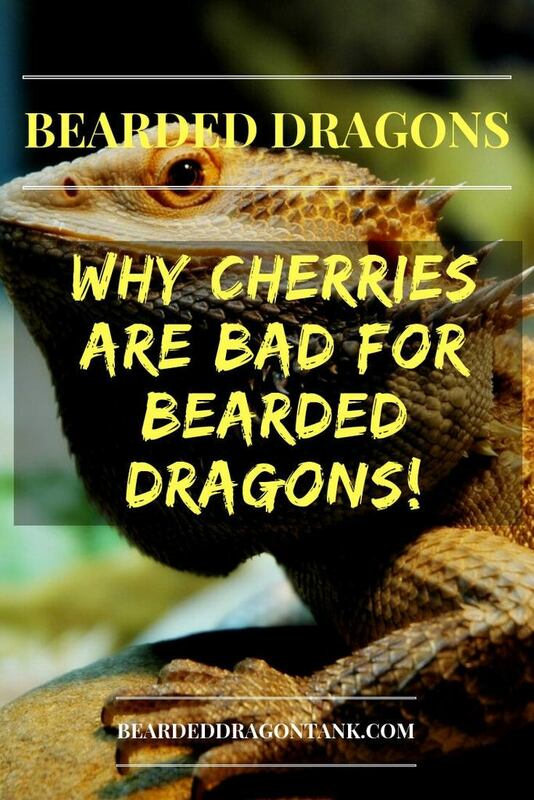 Click here to read my article on beardies and mealworms. So let´s get to my story. When I was a beginner when it came to bearded dragons, I also liked to feed my bearded dragons a lot of fruits. Today, I actually do not feed any fruits at all and my bearded dragons are absolutely fine. Still, back in the day I thought it was fun to share some of my “human” food with my bearded dragon. As most bearded dragons, my beardie loved the oranges and ate a lot of it in a short period of time. So as I told you above, fruits with lots of sugar, fruit acid and water can irritate a beardie´s digestive system and this was exactly what happened. My bearded dragon had diarrhea for several days and even though I went to my reptile vet, it did not stop. I sent my vet a stool sample of my bearded dragon and it turned out that my bearded dragon suffered from oxyures. Oxyures are parasites that live in a bearded dragon´s digestive system. They are normal in bearded dragons, but if a bearded dragon carries too many oxyures, it can lead to constant diarrhea and even to impaction in the end. My vet told me that the number of oxyures in my bearded dragon was able to rise quickly, because my bearded dragon had to defecate so often since it had diarrhea. 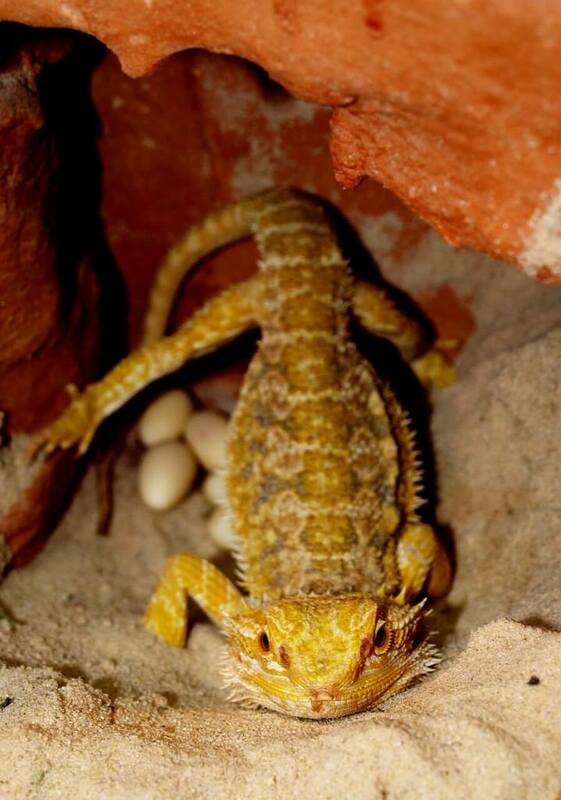 Oxyures only need one host to develop completely, their eggs are excreted with a bearded dragon´s feces and by being near its feces or crawling through its feces, a bearded dragon can reinfect itself over and over again. Even if you remove the feces quickly, there can still be eggs in your beardie tank. 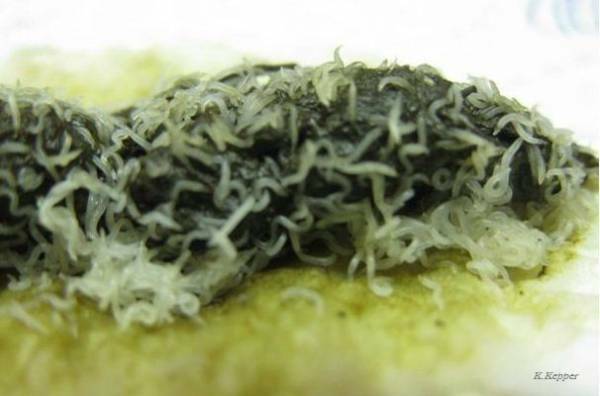 The picture below is showing a bearded dragon´s feces infested with those parasites. Isn´t that crazy? All this only because I fed my bearded dragon oranges. Well, that´s how I learned that I shouldn´t feed my bearded dragon fruits and that I should always have a quarantine tank. There are a couple of further questions a lot of people have when it comes to this topic. Here are the most common questions. Can Bearded Dragons Eat Orange Peels? Bearded dragons should not eat oranges nor orange peels. Most peels and fruit skins are contaminated with pesticides which can lead to serious health problems and even death in bearded dragons. Can Bearded Dragons Drink Orange Juice? Bearded dragons should never drink orange juice. Oranges contain way too much fruit acid and sugar. Further, bearded dragons do not need to drink much and the taste of the orange juice could lead to an excessive water intake. A high water intake can lead to diarrhea in bearded dragons. While not every bearded dragon will suffer like my bearded dragon did back in the day when it ate oranges, I think I made very clear why bearded dragons should not eat oranges and most other fruits. So can bearded dragons eat oranges? Absolutely not! 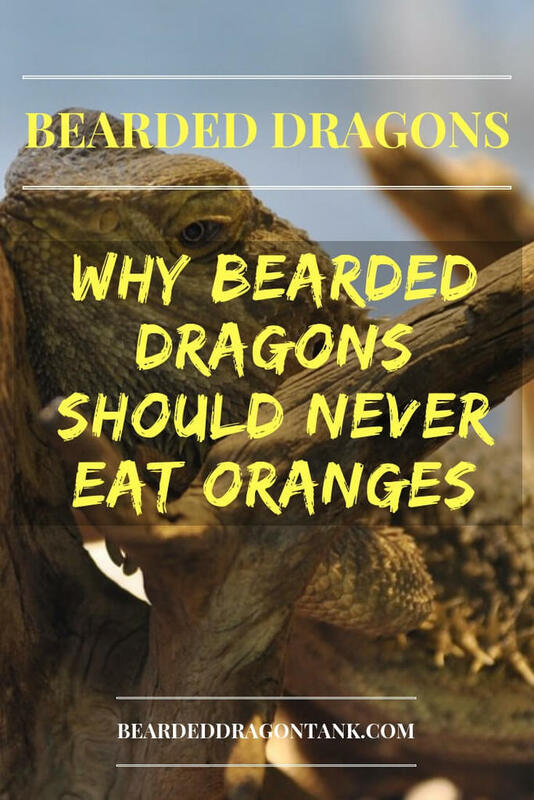 Author beardeddragontankPosted on October 28, 2018 Leave a comment on Why I Will Never Feed My Bearded Dragon Oranges Again! We all know that cats, dogs and especially birds can be pretty noisy sometimes. This could not only get on your nerves, but also on your neighbor´s nerves. So what about bearded dragons? Do bearded dragons make noises? Bearded dragons do not have vocal cords, their communication is done by body language. They can hiss if they feel threatened, but they can´t make any real sounds like a dog, for example. However, the crickets that bearded dragons eat can be pretty noisy at times. Still, only because bearded dragons can´t make any noises, it does not mean that you won´t ever hear anything from your bearded dragon. In fact, there are a couple of noises you are going to hear from your bearded dragon and you should actually pay close attention to some of them. Continue to read to learn more. Do Bearded Dragons Make Noises? As I said above, bearded dragons do not make any noises. At least not like we do or other animals like dogs or cats do. Bearded dragons and other reptiles rarely make any noises, because they communicate only by body language. In fact, bearded dragons have a very clear body language which makes it easy to understand what they want from you. For example, bearded dragons use head bobbing to show dominance or to show that they are ready to mate. They wave with their arms to show submission. I am sure you already have seen some videos on Youtube that shows a bearded dragon waving. It looks actually pretty funny. Their body language is perfectly suited to their lifes in the wild. Bearded dragons are territorial and have very good eyes. If they see another bearded dragon entering their territory, they can tell the intruder by showing a certain body language that it has to go or that it is allowed to stay from the distance. The coloring in bearded dragons also plays a big role in communication. If you thought till now that only chameleons can change their color, you were wrong. While bearded dragons cannot show completely different colors, they can show brighter or darker colors. For example, they can color their beard black to show that they feel discomfort. A black beard is also used while mating. 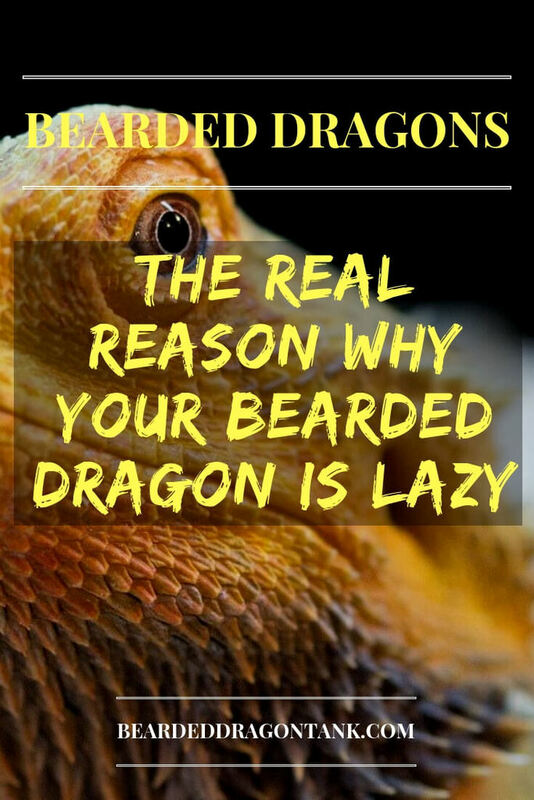 If you want to learn more about that, read this article about bearded dragons and black beards. So now you know why bearded dragons do not need to make any sounds. 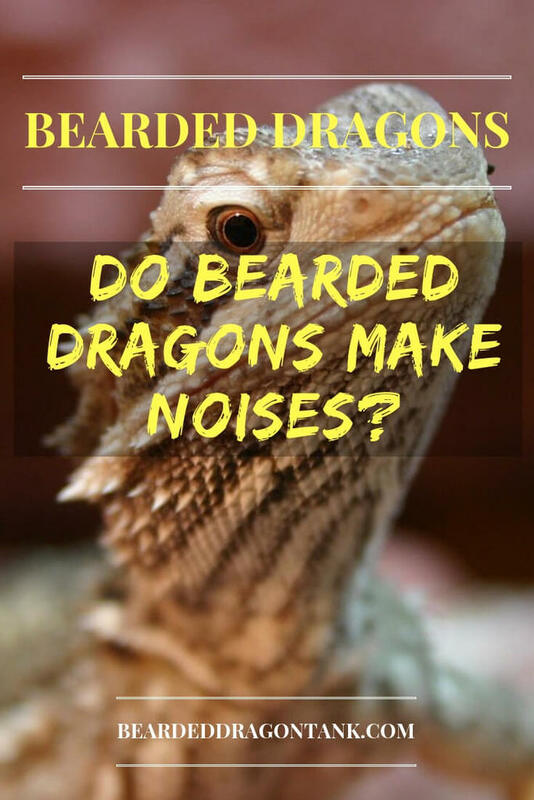 However, which sounds can you expect from your bearded dragons from time to time? If bearded dragons hiss, they always combine this with a very strong body language. Bearded dragons hiss to scare any threats aways. Some people say that this is an aggressive behavior, but I would call it a defensive behavior as bearded dragons are not known for attacking out of nowhere. Hissing in bearded dragons is a last warning. If you ignore a bearded dragon´s hissing and touch it anyways you will get slapped by its tail or you will get bitten. Often times, bearded dragons show a very black beard while doing that and they also puff their bodies and their beards up to seem bigger and more dangerous. Of course, bearded dragons have to open their mouths to hiss. Before you think that bearded dragons are likely to bite, this is not the case. Actually most bearded dragon owners never hear their bearded dragons hiss, because beardies are naturally very laid back and don´t really want to attack. That´s why a lot of bearded dragons are sold to families with kids, but also to beginners. If you want to know exactly when and why bearded dragons hiss, read my article on that here. Some bearded dragons scratch the glass of their tank and it seems that they want to get out. Not all bearded dragons do this and while it is not very noisy it can get on one´s nerve from time to time. There are various reasons for glass surfing. It could be that your bearded dragon has seen a fly or a spider at the other side of the room. Remember, they have very good eyes. However, it could also be that your bearded dragon has learned that you will let it out if it shows this behavior. Bearded dragons are actually pretty smart and experiments were made that show how smart they really are. If you want to learn more about this, click here. Digging in bearded dragons is a natural behavior. Bearded dragons like to dig caves and they also like to bury themselves in sand. Unfortunately, the majority of bearded dragon owners does not allow this behavior, because they use reptile carpet or newspaper as substrate. Why are they doing this? Some bearded dragons eat substrate from time to time. If you use a sand mix as substrate, it can happen that your bearded dragon gets impacted from eating too much substrate. That´s why many people avoid any substrates that could lead to impaction. However, the truth is that bearded dragons only eat substrate if they feel that they need to balance their minerals. Offering calcium at all times will help to avoid this behavior in bearded dragons. Digging is not loud at all and you should encourage your bearded dragon to do this. I recommend to get a clay mix as substrate. If you want to know which substrate I like to use, read my bearded dragon substrate guide. Is Your Bearded Dragon Sick? Unfortunately, bearded dragons can get sick from time to time. While most diseases can not be heard, a couple of diseases can lead to a very weak hissing in bearded dragons. It is not really a hissing like the normal hissing, it is more like a noisy breathing combined with coughing or even choking. If your bearded dragon shows this, there is a good chance that your bearded dragon is suffering from lung inflammation, parasites or yellow fungus disease. If you hear something like this, you have to take your bearded dragon to a vet immediately. 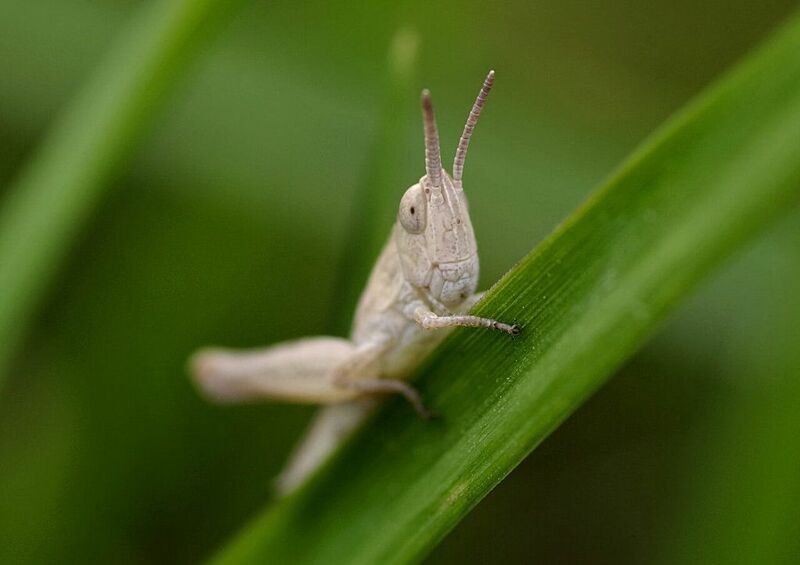 If you buy a full box of crickets, you probably will hear some sounds chirps from time to time. Depending on how many crickets you have bought, you could even hear that pretty often. If this noise could get on your nerves depends on what you like. I love those sounds actually and I know a lot of people who also love them. Still, if you don´t want to hear those sounds, there is an easy fix. Simply buy dubia roaches instead of crickets. Dubia roaches are way healthier for your bearded dragon and they are absolutely silent. 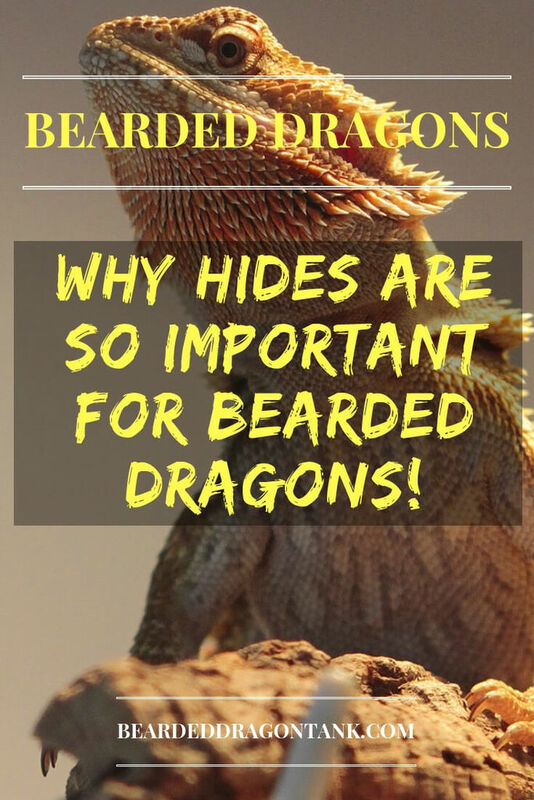 So you just have learned that bearded dragons are pretty silent creatures, but there are still a couple of questions left that a lot of people ask all the time. Are Bearded Dragons Noisy At Night? Bearded dragons do not have vocal cords and are not able to make any noises. Besides that, bearded dragons are diurnal, which means that they sleep during the night and are active during the day. Do Bearded Dragons Have Vocal Cords? Bearded dragons and other reptiles do not have vocal cords and therefore are not able to make any sounds. The only lizards that have vocal cords are geckos. If you are looking for a very quiet and awesome pet, the bearded dragon is the pet you need. Always make sure that everything is okay with your bearded dragon if you hear any weird noises from it.